Or, is Fiverr a big fat waste of your hard earned cash? Fiverr is rubbish, the quality just isn’t there, I wouldn’t dream of risking my dollars on some random unknown human. But then there’s always that person who found a diamond in the rough. So can you nab a bargain on Fiverr or is it just a big fat waste of time and money? After being inspired by this post from Neville Medhora, I decided to give it a go. 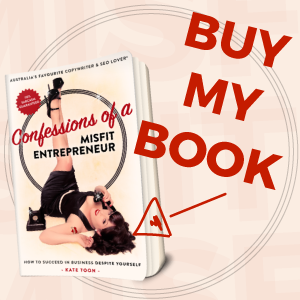 I gave myself a strict budget of $100 AU and then went cray cray on Fiverr. 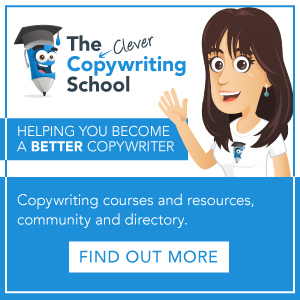 My favourite one is number 12, it made me snort and if you make it to the end of the post you’ll also gain access to my TOP FIVERR BUYER TIPS DOWNLOAD. Whoop! Cost: $36.25 (USD: $26.25) – the cost was a little higher as I opted to get it back in 2 days. Summary: I sent my logo as a PSD file and got the attached back the next day. 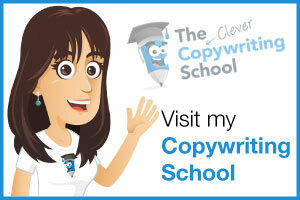 I ended up using it as a little video intro for The Clever Copywriting School. It’s a bit long though, so I might go back and ask for a speeded up version. And although I liked the fact they included a backing track, I’ll likely remove this in iMovie and add my own. 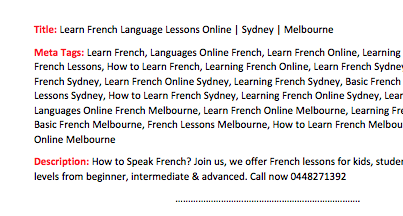 Summary: I asked for keyword research for my husband’s French School voulezvouloz.com, telling the dude that he specialises in French lessons for adults and kids and focuses on the Sydney and Melbourne area. 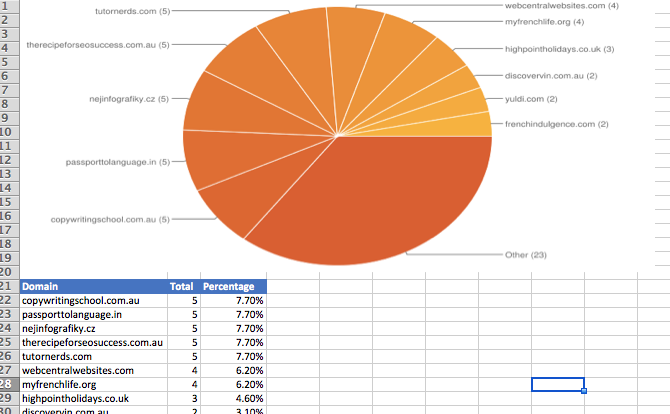 I got a list of 52 keywords back, all fairly obvious and it wasn’t clear if they were for Google AU. I also got a separate Meta Document, which I think would have mislead or confused an SEO newbie and advised using meta keywords tag, which is a tad old school. Cost: $21.87 (USD: $16.00) – I opted for the full colour version. Summary: I sent two photos of my C.F.O. (Chief Furry Officer). 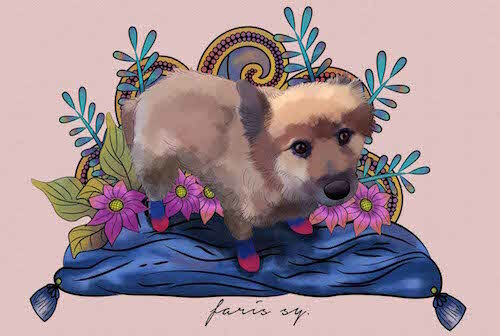 The illustrator asked if I wanted to upgrade to full colour and I did. I got the drawing back 2 days later, and was asked if I needed revisions. I thought it was perfect, so no revisions. Then I was sent a high resolution version, which is divine! 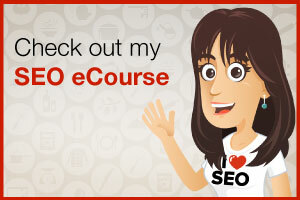 Summary: I sent the following message “Kate Toon’s SEO eCourse is the best SEO course in the WORLD. Learn SEO quickly, easily and affordably. I LOVE SEO.” And got the video back a day later. I’m not entirely sure how I’ll use it. But I’m sure I’ll find a way. Summary: Again I used http://www.voulezvouloz.com, as the guinea pig. The report that came back was pretty awesome, including backlinks, anchor text profile, linking domains, and more, all nicely laid out in an Excel. Good for: SEO newbies, small business, copywriters who don’t want to invest in a backlink auditing tool or want to get their link profile produced quickly. “Yes but for this you need to buy my gig extra. Coz this is a strong energy signal that would be sent on his mind controlling his soul for you.” I refused. I said I just wanted the healing I’d paid for. I asked my husband if he felt any better and he said he didn’t and eyed me suspiciously. Hope the FiverrBeast doesn’t send him bad vibes because I only gave one star!? Result: Here’s a little snippet. Summary: I provided information about my brand, my favourite colours, my preferred fonts (I just said sans serif) and I was asked to provide some examples, but I was too lazy. I was sent back two examples which are both fine, although the whole (C) thing could actually confuse your average joe. 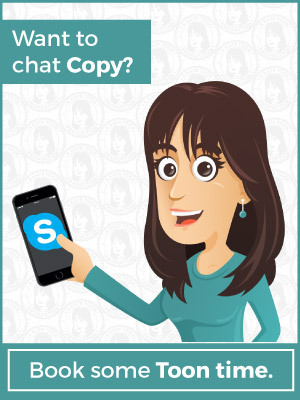 (The type that confuses copyright with copywriter). I won’t be using them, but it was an interesting exercise. Summary: I asked for content on the subject of Best French restaurants in Sydney, Australia, again for my husband’s business VoulezVouloz.com. The focus was for keyword phrases: ‘Best french restaurant Sydney’, ‘Best french restaurants in Sydney’ and ideally, I wanted a top 10 or similar. What I got back was absolutely fine. Would I use it on the website? No. Is it a good starter piece for a full blog? Yes. I’ll add a link to the full blog post that I write based on this soon. 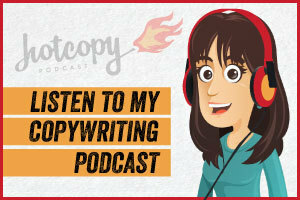 Good for: Copywriters who don’t want to start with a blank page, business owners who are willing to do a little work to take the blog to a publishable level. Summary: I asked for my flipper to be holding a sign saying I LOVE SEO. I loved the result, but felt that it needed a voice over or something, so I have gone back to ask for some adjustments. I’ll post the revised version here soon. 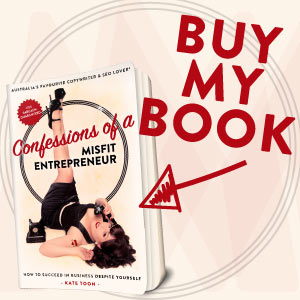 Good for: Business owners looking for a quirky way to promote their content. Cost: $10.50 – I ordered the extra fast version so I could get it for the post. Summary: Linda is an online chum of mine so I was interested to see her offering services on Fiverr. She uses it as a ‘lead gen’ into bigger projects and jobs. 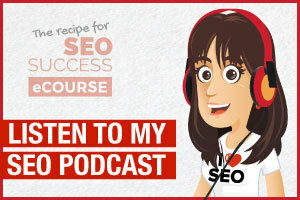 I asked for five press release ideas around the next launch of my SEO ecourse. I think the ideas are great and I’ll definitely be getting onto writing a few press releases based on them. Although I’ll likely need Linda’s help to get them into the sticky paws of the journos. 1. 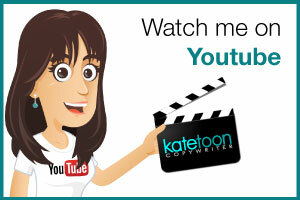 Kate Toon takes the scary jargon of SEO and makes it understandable – the idea is to profile you and the course. 2. SEO need not be out of reach for your business – make this one informative and have a few tips in it on how business owners can do their own SEO and place yourself as the expert. 3. Business owners are raving about the Recipe for SEO Success – take the testimonials you have and show what you do is amazing. 4. Is Your SEO Company walking the talk? – Love the line on the home page so use it to get some journo interest around what businesses should look for when checking out an SEO company. 5. 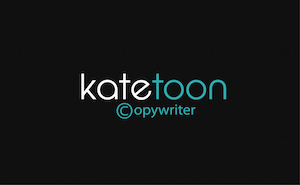 SEO headaches end with Kate Toon’s Recipe for SEO Success – this a promo based release on why the course will ease the confusion of SEO for small business. Summary: The FiverrBeast asked for a script under 50 words. So I provided this. You tired of expensive SEO agencies? You struggling to work out all da jargon and confusin’ information? Well then how the hell else you gonna learn SEO? I love the end results, it’s fabulously silly. Rating: 6 – this is my FAVE! Good for: Business owners wanting a funny angle to promote their products. I enjoyed my time on Fiverr hugely and will be heading back in there soon. For five dollars it’s often worth it just for the giggle. Why send an ecard when you can seen a talking unicorn head greeting? In summary you have to kiss a few Fiverr frogs to find your princess/ prince charming. But it’s seriously worth the effort. 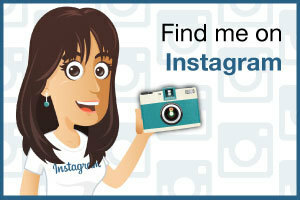 Now scroll down to the social content locker thing to get my top tips on making the most of Fiverr! Which of the above buys do think was the best value for money? 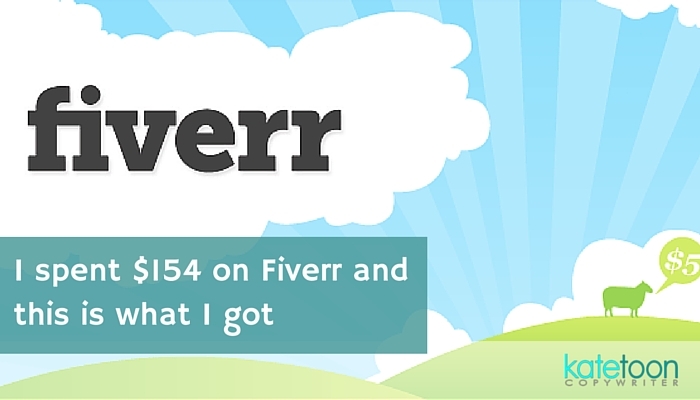 Have you had a good experience using Fiverr as a buyer or seller? Please share your experiences below. 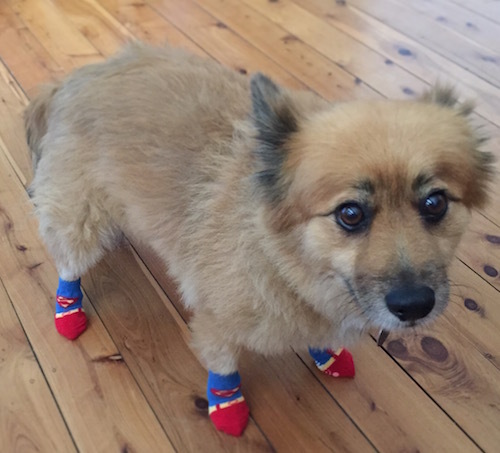 This little one came in after the post went live, because it was raining and my FiverrBeast was worried the words would wash off his belly. Watching it makes me feel both happy and strange.